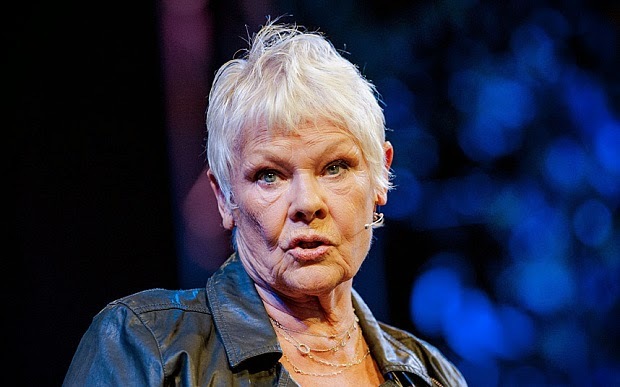 Dame Judi Dench agreed to star opposite Benedict Cumberbatch in the BBC's Richard III after the Sherlock actor propositioned her during a Shakespeare masterclass at the Hay Festival. However, Mandrake can disclose that the pair are in fact old friends. Meanwhile, the actress says it is unlikely she will attend the Oscars next year. Despite being nominated for the Best Actress award, Dame Judi Dench was notably absent at this year’s awards after filming in India for the sequel to The Best Exotic Marigold Hotel clashed with the ceremony. Now, the actress, who turns 80 this year, confides that she is in no hurry to make an appearance.